Nice! I haven't ordered from then yet but want to so bad! I follow on GFC. Sophie Strout. Lovely giveaway and I really like your blog's new design! So nice :) followed through bloglovin'! Welcome back on your own blog ! Love the giveaway I'm definetly in !!! I´m so in Love with Romwe! Do you have a new blog design? I find very beautiful! I am signed up with the email address: natashafatah@gmail.com and I follow you on Bloglovin'! I follow on Bloglovin' and I have an account on Romwe! My email is bekell@gmail.com. I signed up with burntryce[at]gmail.com! Love Romwe! I also really like the pictures you chose for the collage! And your new layout! Oh yay! I follow you with bloglovin' and I signed up on their site. I follow you already via GFC. I'm following you via Bloglovin and your blog is awesome!!!!! i really really hope I win.. I follow you on bloglovin' :). 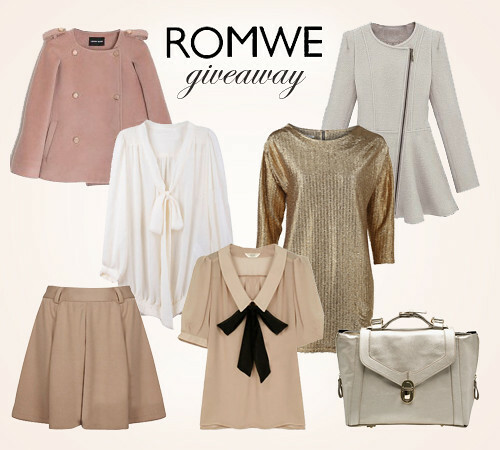 what a great giveaway!I love both your blog and romwe! LOVE your blog! So awesome! Thanks for the giveaway! I love the pieces you picked to show from romwe. Thanks for the giveaway! romwe: okarmus.p@gmail.com, fb: tysiak_19@o2.pl, GFC: meagainstfashion. There are so many interesting pieces here. What a wicked contest. 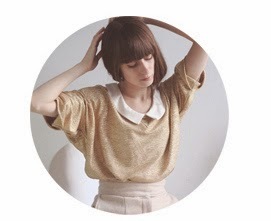 I really like the feminine aesthetic of your blog- the clouds are amusing and incredibly attractive. So pleased to find your blog!